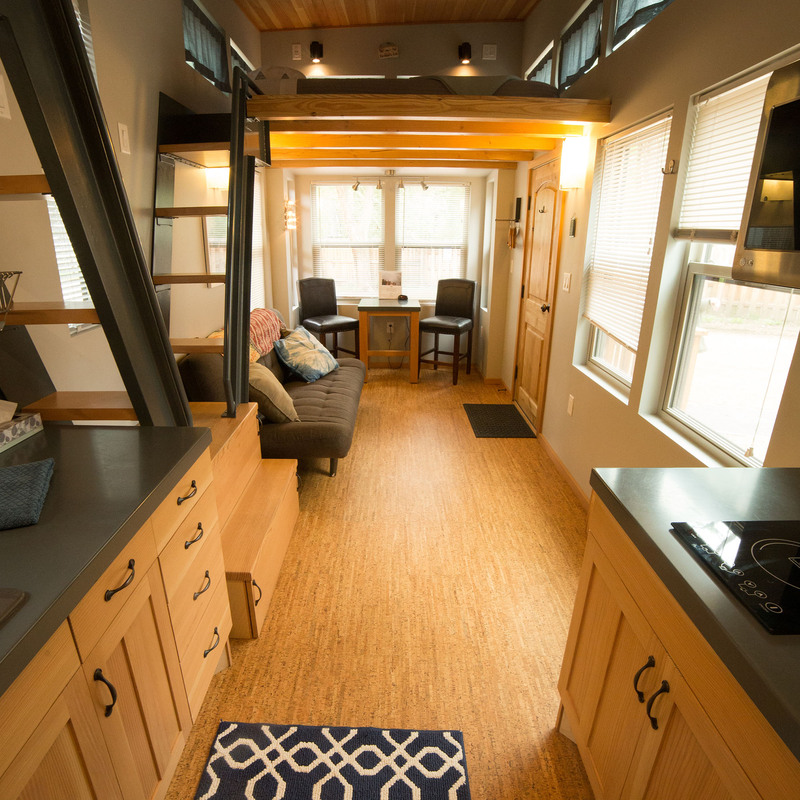 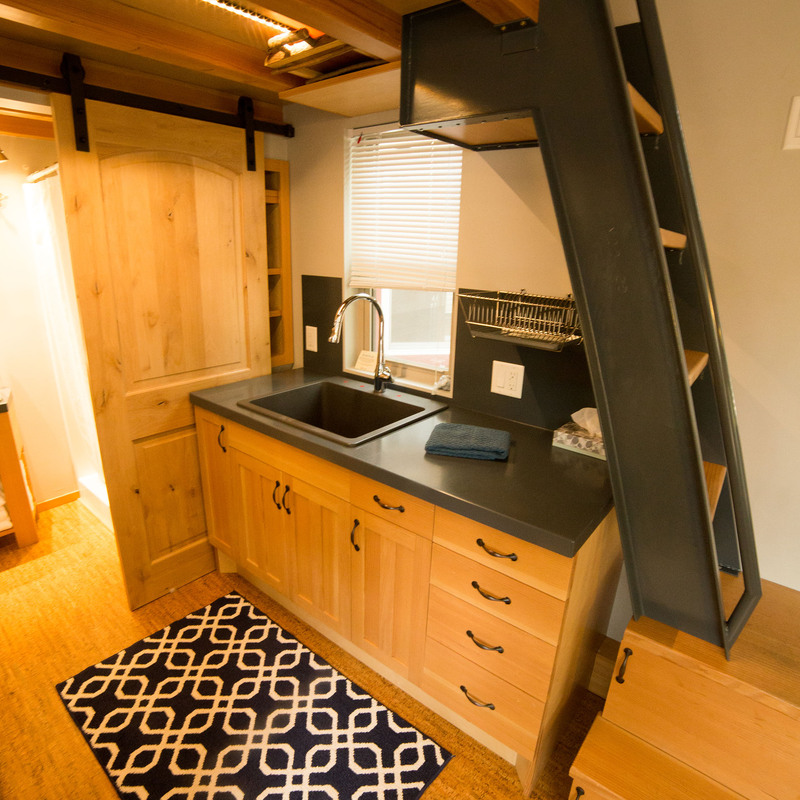 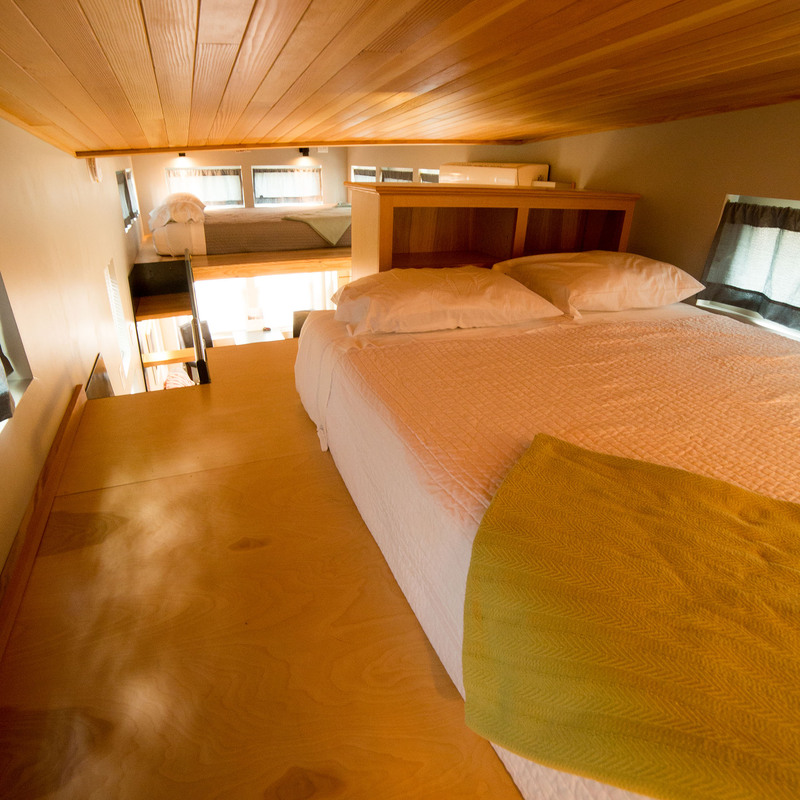 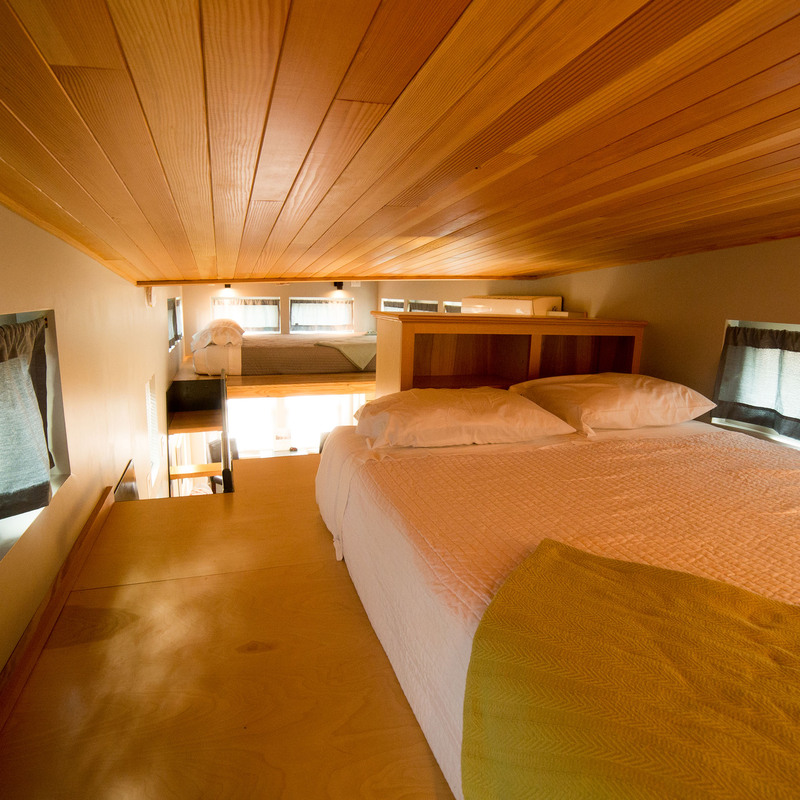 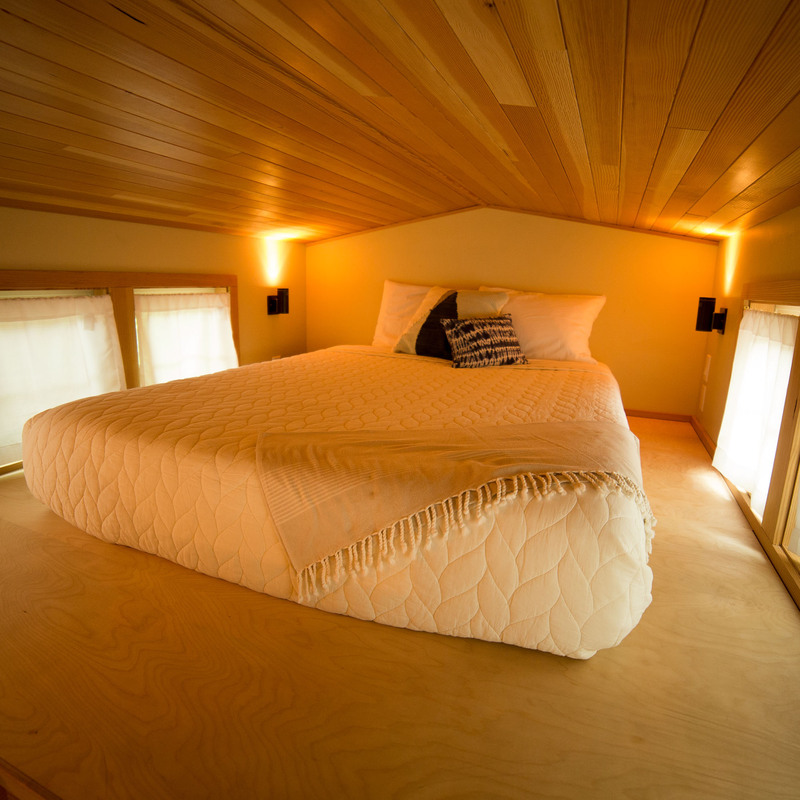 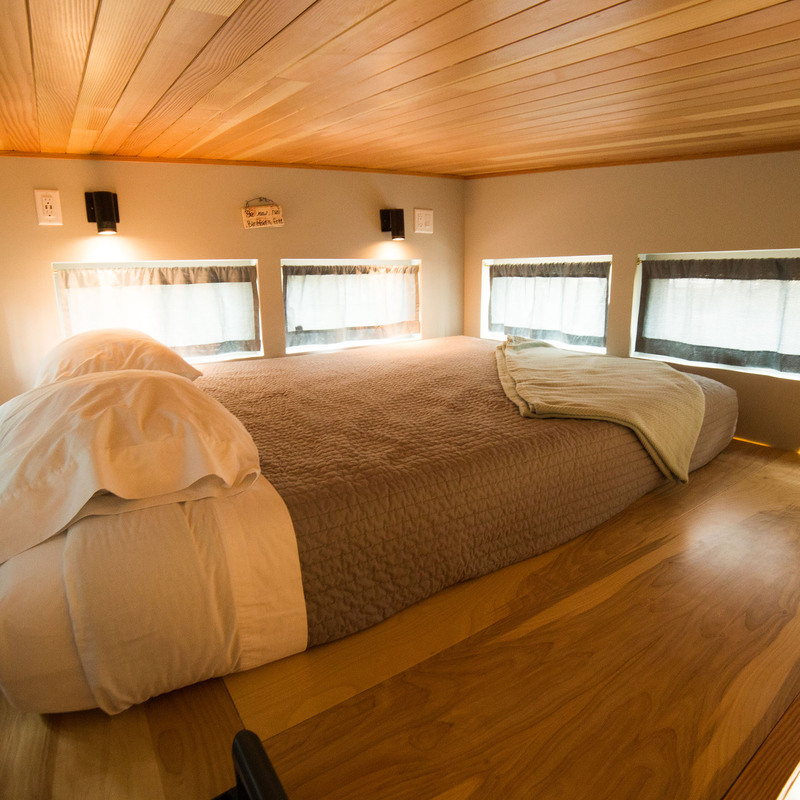 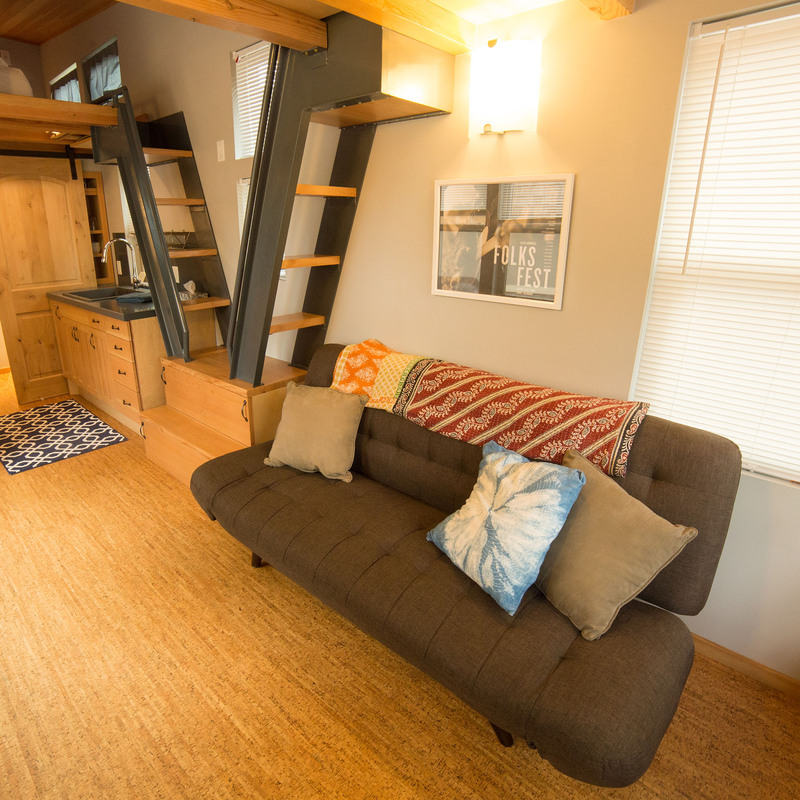 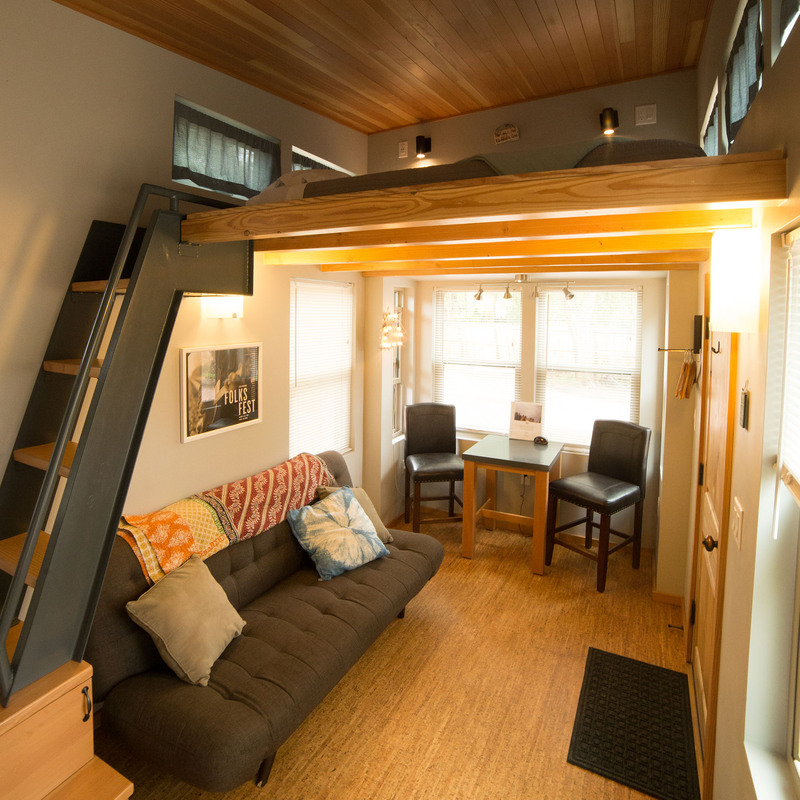 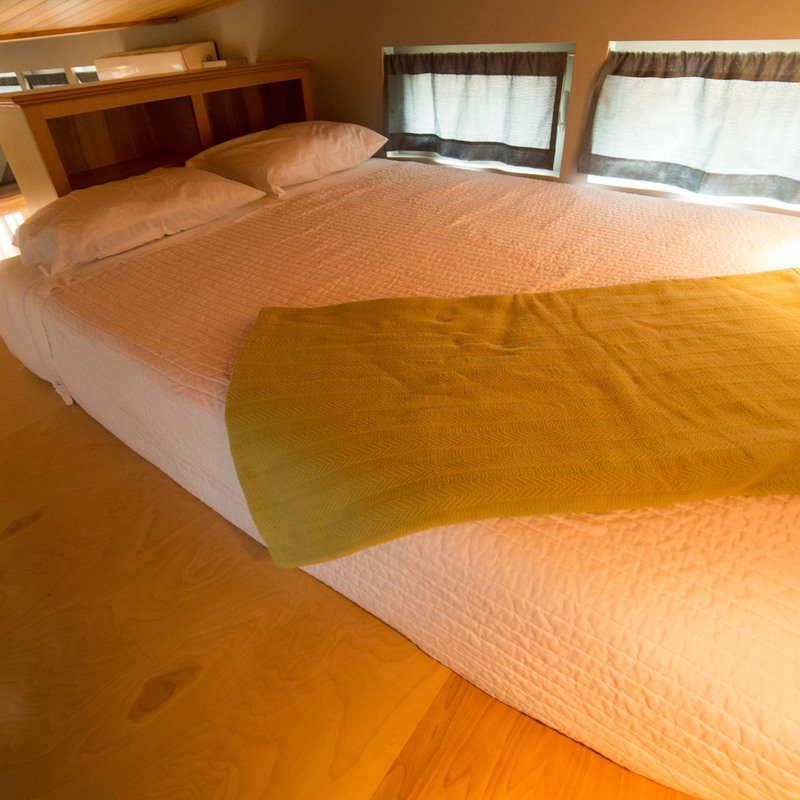 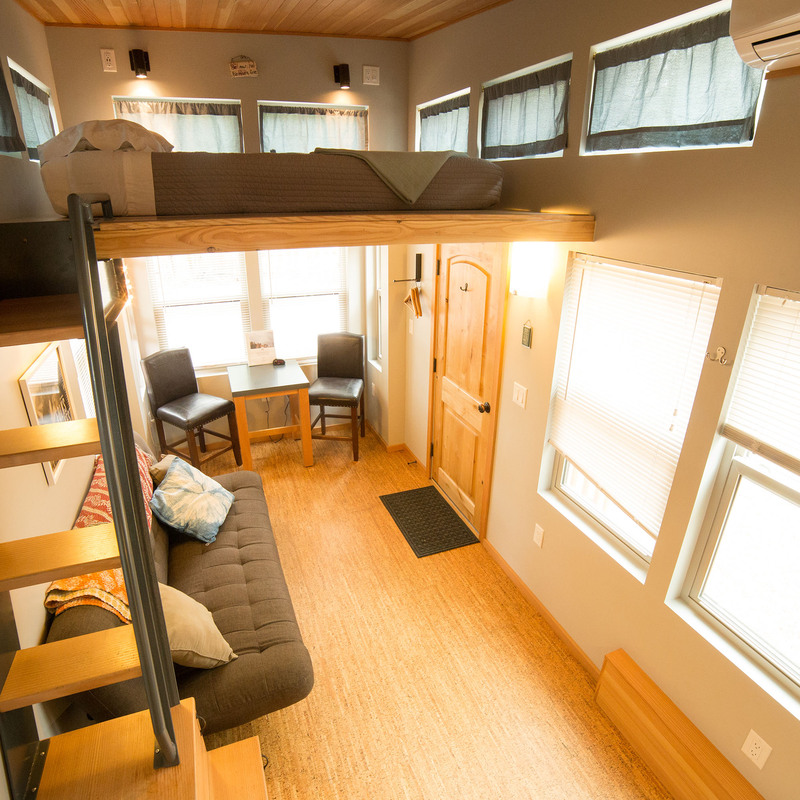 This 24-foot tiny home features a double metal staircase to two sleeping lofts with queen size beds. 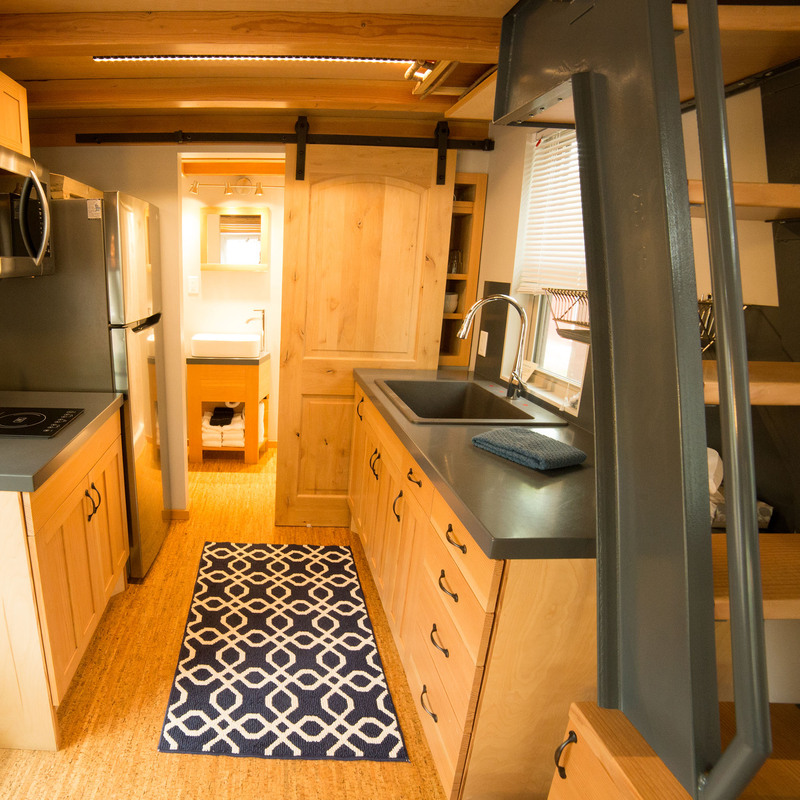 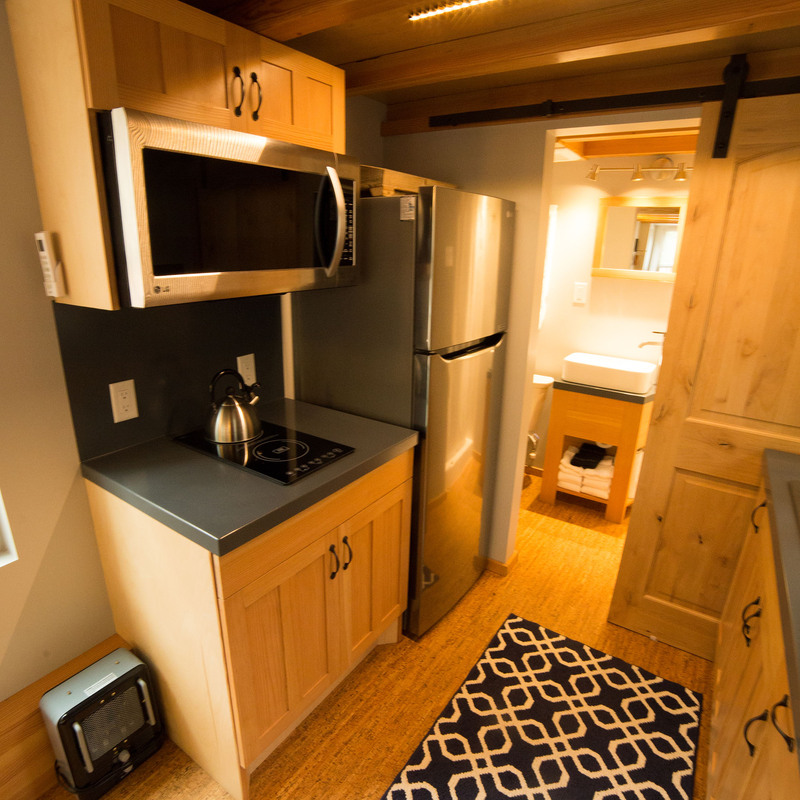 Kitchenette features a microwave, double-burner induction cooktop, full-size fridge, plenty of kitchen cabinets, drawers, and pantry behind a sliding barn door. 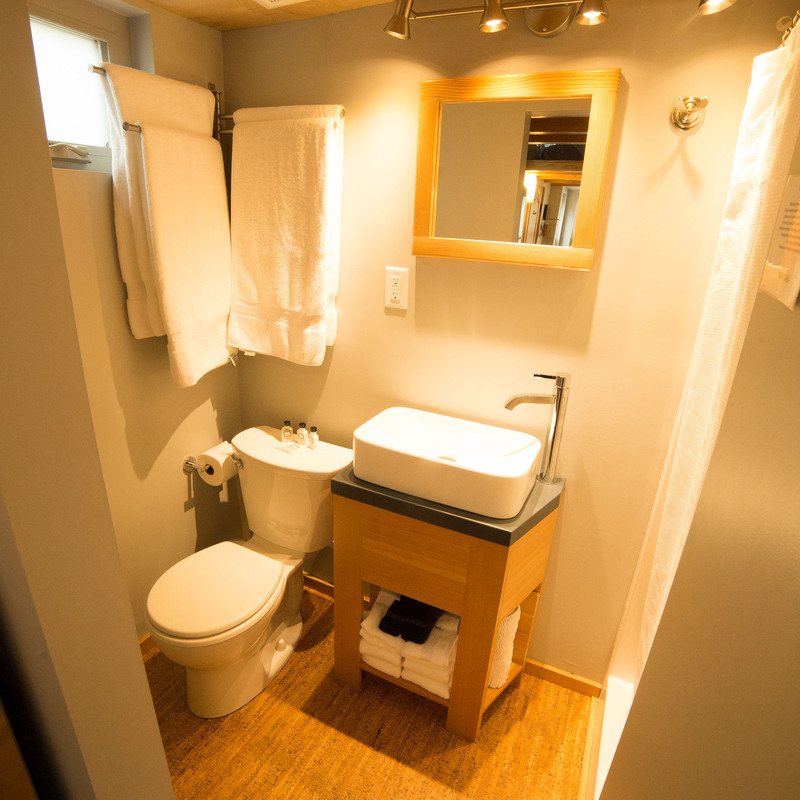 Bathroom includes a flush toilet, sink and stand up shower.